I'm not a professional kids' party planner, just a mum who loves to throw her kids a party on their birthday. Round here, we're into making memories and a little bit of magic, not impressing the locals with big budget professional parties. We like at-home parties that don't just look pretty but are fun to be at. We're fans of the deceptively-simple, we like to re-use, upcycle and get creative. We involve our kids in the planning and preparation, we get a kick out of being clever and focus on having fun. 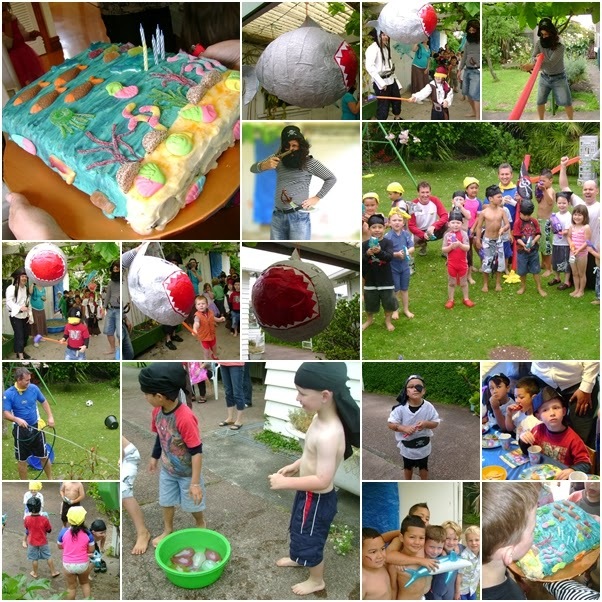 All our parties parties have been home-made, on a budget and absolutely enjoyed by all (kids and adults alike). 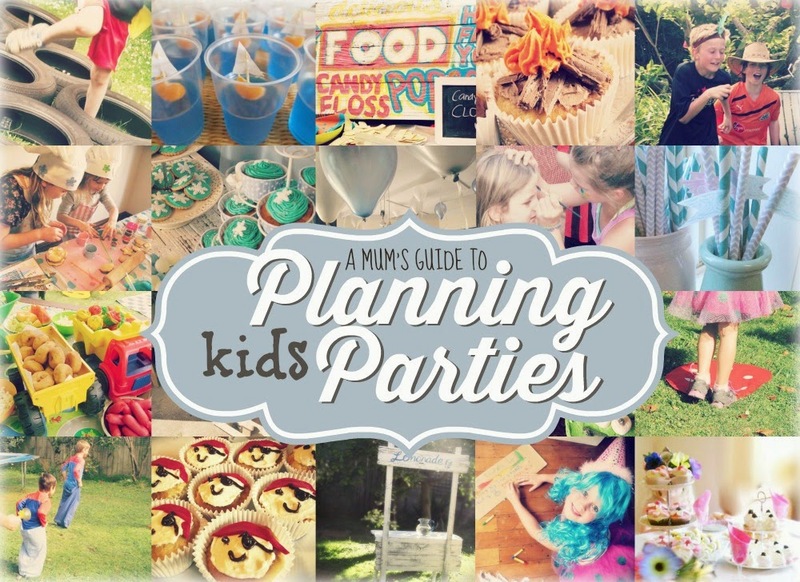 It's my joy to share our ideas with other amateur party-loving mums, who might benefit from my party planning process (and learn from my mistakes). A good theme has lots of things going for it. It should be something the birthday child likes and is into of course (unless they are turning one and too young to know or care). 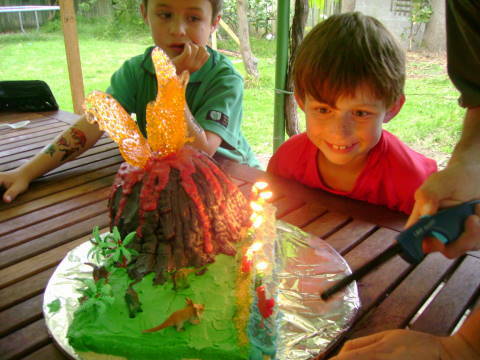 Get the birthday child involved in the planning of their party. Get them to sit with you while you search for ides online; ask them what THEY want (for food, for games) and get them to help with the preparation wherever possible. A theme that lends itself easily to dressing up is always great. I prefer themes with motifs that can match the theme (and food) easily, and try to avoid buying expensive licensed products. A good theme gives you plenty of scope for creativity and saving $$$ by allowing you to get inventive and think outside the box. For instance at a Teddy Bears Picnic you can have bees, honey, flowers, gingham, baskets, teddy bears, Winnie the Pooh and Bear Hunts. 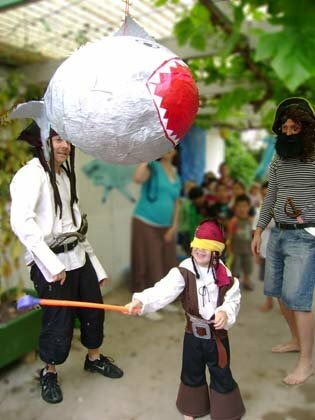 At a sea-themed party you can have sharks, dolphins, fish, pirates, water fights, mermaids, SpongeBob and Nemo. 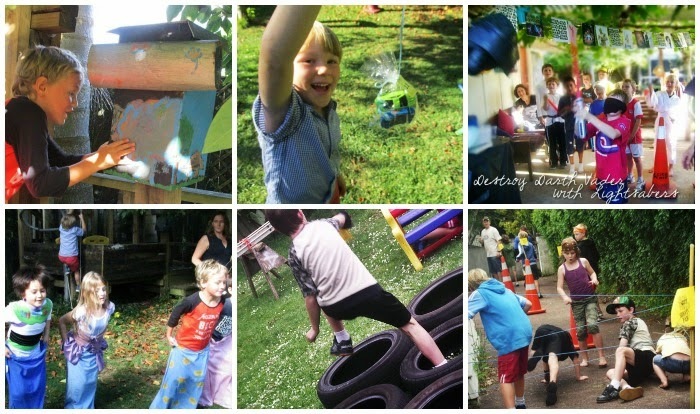 A Peter Pan Party is perfect when the guests are both boys and girls, with loads of scope for dressups, decorating and games: Pirates, Lost boys, Indians, Fairies, Mermaids... and a giant croc! 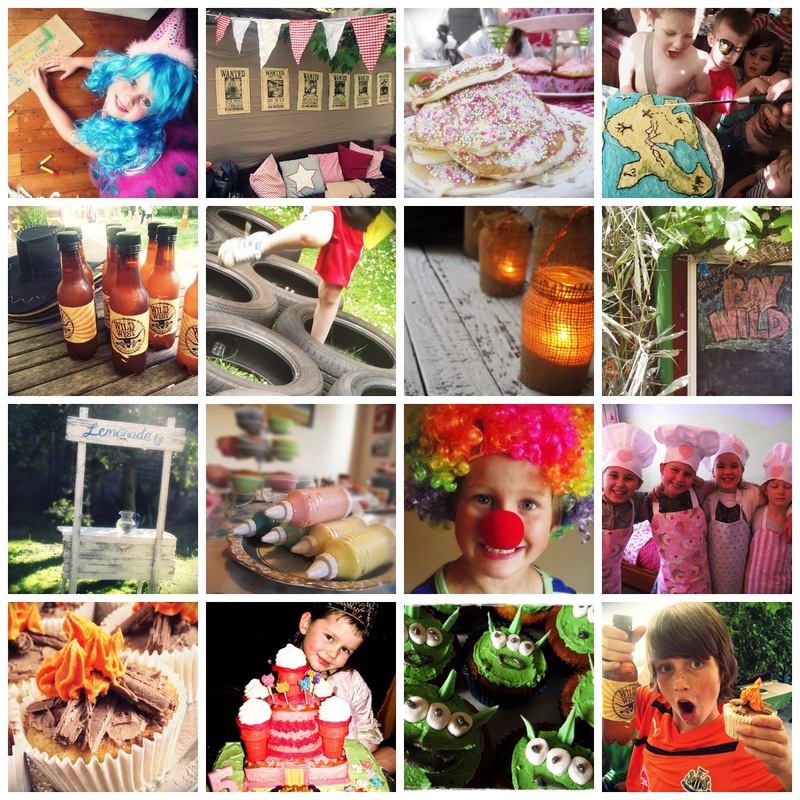 I try to think of the theme at least a couple of months before the party - which is usually easy because the kids start planning their next party as soon as the last one is over! 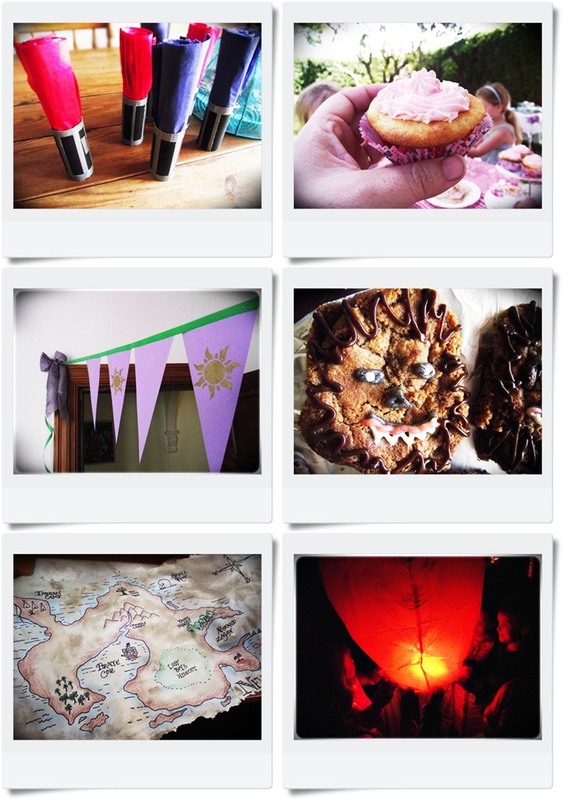 Once I have the theme sorted, I start collecting ideas on a Pinterest board. This helps me build up a picture of the kind of feel I want to create, and lets me collect all the potential ideas in one place. I probably won't use 90% of them but it helps clarify the "vision" for the party. Sometimes the great stuff you see is sold out or no longer on special closer to the party date. About three months before my son's Deep Sea Party I spotted some great $2 fish squirter water guns, that gave me the idea for a water fight and would be great as the take-home prize. Luckily I bought them when I saw them, because within a week they were sold out and I've never seen them since. The weather/venue combination will have an impact on how many guests you can accommodate. A small house and an at-home party will obviously require a smallish guest list (unless you live somewhere where it never rains). WINTER BIRTHDAYS If your child's birthday is in winter (as my daughter's is) you can be clever and plan your indoor party using more than one room in the house. For our Fairy Party we set up the bedroom as a make-up/dressing room, had the dining room set for a magical tea party, and used the lounge for the games. The treasure hunt was designed for indoors. We kept guest numbers low - eight girls in total. Another great party for winter with small numbers is a Baking Party. 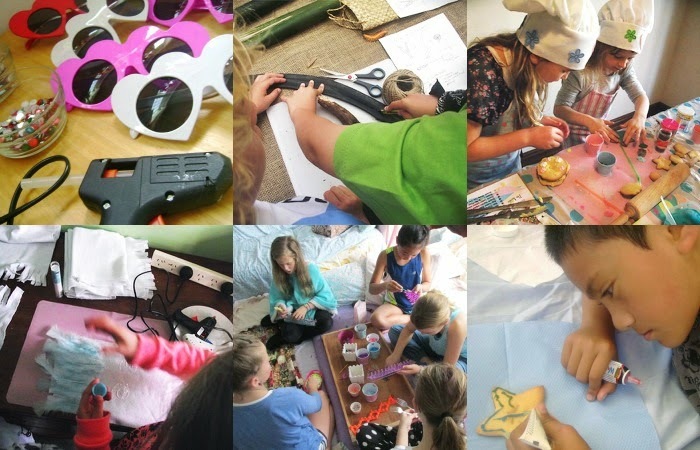 When Miss Fab turned eight we had a party for four girls who decorated cupcakes and cookies, made mini pizzas and then enjoyed gobbling up their creations. This was perfect for a winter-time birthday with a few special creative friends. Think about the timing. Consider the age of the guests, how long you want the party to go for and what time of day works best for kids this age. Parties for littlies often need to work around sleep times, whereas parties for older kids might need to work around team sports. For example my youngest son's first birthday Teddy Bears Picnic lasted for two hours, from 11am to 1pm. This time of day best suits littlies around his age (between sleeps) and will cover the lunchtime period when they usually eat anyway. 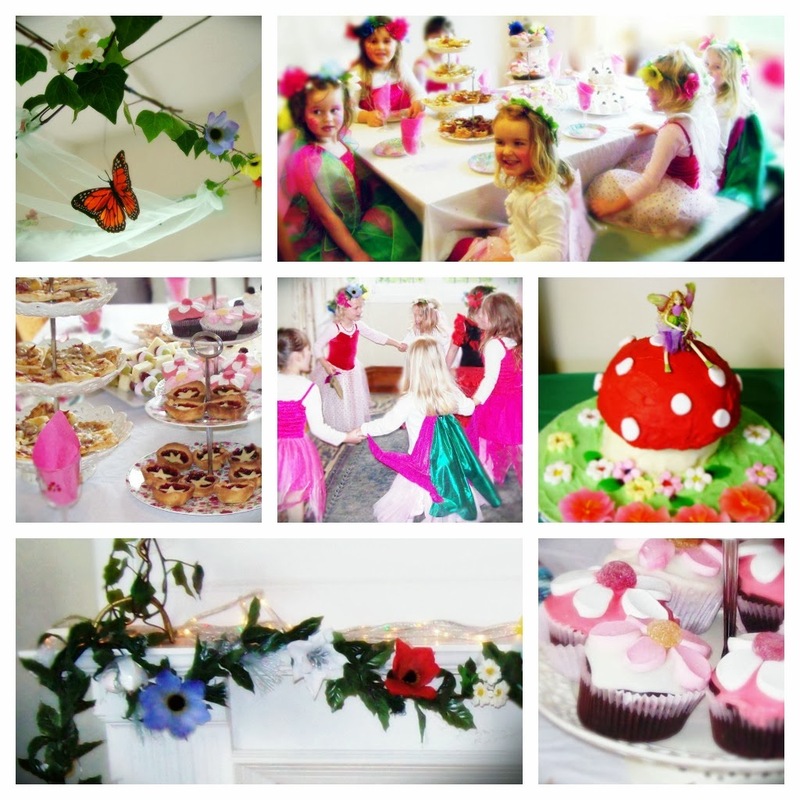 The older kids' parties I tend to do in the afternoon, with an afternoon tea rather than a full on meal. I usually keep to a 2-hour time frame and structure the activities based on that. As I've said, I'm a huge fan of at-home parties; you just can't create the same atmosphere at a hired venue, but sometimes the birthday child really really wants to go ice skating or to play laser strike. The obvious answer is an at-home/venue combination. Go out for the activity and then come home for the food. It can work really well. Have a written plan. Create a word document where you list everything you need to do, get, buy and make. Have another list for the menu, one for the decorations, one for the games. GUESTS ARRIVE: allow 20 minutes for guests to straggle in. Have an activity planned that kids can join in with as they arrive, e.g. face painting, hair and makeup, free play on pre-set activities. 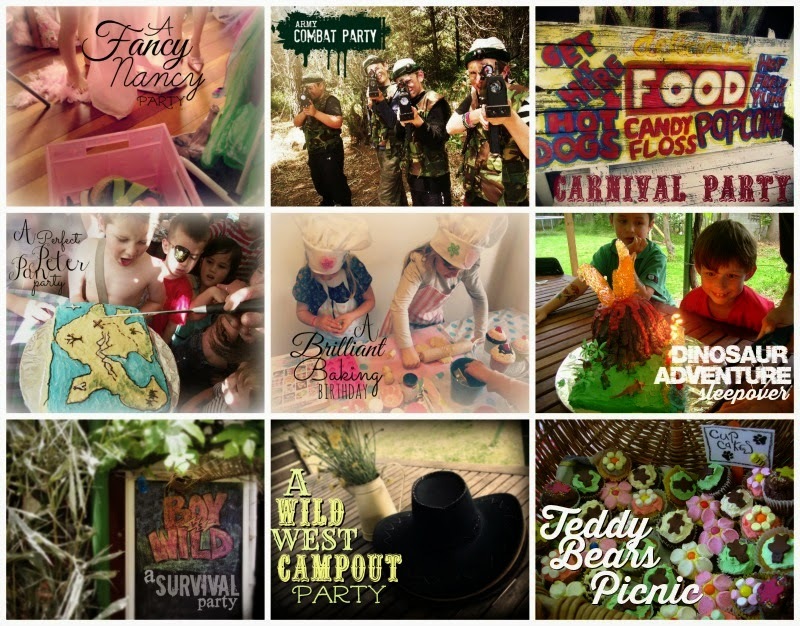 Each party is different of course, and tailored to the age of the guests and the theme. For the Sports Party, we played lots of team games and ate the food last, as it's no good playing sports on a full stomach. Sleepovers are a whole new ball-game now that our kids are older. 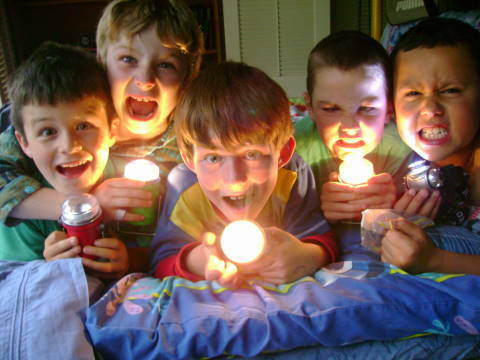 Sleepovers usually mean less kids, more time & simpler longer-lasting activities, e.g. for Dash's Dinosaur Adventure Sleepover, the boys played football in the garden, hid dinosaurs and then hunted for them after dark; played Buzz PS2 Dino Den and then watched a movie. Dinner was simple pizza and icecream sundaes. It was a great time with Dash's friends and surprisingly relaxed. The key is limiting the numbers - we've had sleepovers with more guests and the noise and mayhem levels increase exponentially! For the games I like to find ways to re-work old classics, like musical chairs, statues and treasure hunts. The classics can easily be adapted to each theme, just by changing a few details, e.g. musical chairs/statues. At the Fairy Party Musical Chairs became Musical Toadstools, and there was a little prize for each fairy who managed to escape the magical fairy ring. (Young children often get upset if they get "out" so it helps if you can put a positive spin on things. Download Fairy Party Games here). At the Peter Pan Party, the children danced around the "fire" in the Injun village and "Hook" sent anyone who moved to walk the plank. You can jazz up an old favourite like Pass the Parcel as well, slipping clues or instructions between the layers. At the Fairy Party, I combined Pass the Parcel with a Treasure Hunt, putting a rhyming clue between each layer of paper which led to treats hidden around the room. At Scrag's 6th birthday Classic (themeless) Birthday Party I put dares between certain layers that kids had to do in order to get a lollipop, e.g. "sing the national anthem", "stuff marshmallows in your mouth and say, I'm a fluffy bunny". Then there's the treasure hunt - which can be done so many ways, and adapted to so many themes. Hunt for words, clues, prizes, sweets, teddy bears... the sky's the limit! 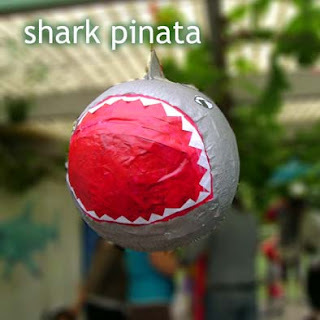 Or you could make a pinata. Boys particularly love to smash stuff. An alternative to structured games is getting creative. It can be as simple as decorating cookies (have a competition with a prize to spice it up like at our Star Wars Party), decorate scarves, chef hats, or fancy sunglasses (Fancy Nancy Party), make slingshots (and then hold a target shooting comp like at our Boy vs Wild Adventure Party) or simply hang out and do Looms (like at our Girly Sleepover Party. 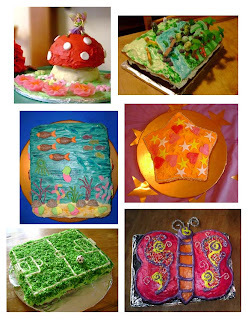 Adapt an activity to your theme - and send the guests home with their creations. Dancing is always a great activity at birthdays and there are any number of dancing games you can adapt and have fun with. 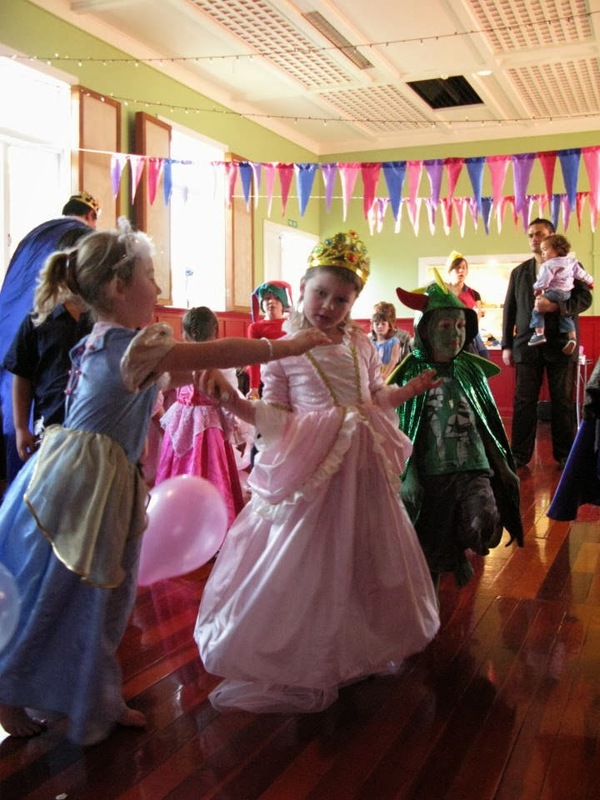 For Miss Fab's 5th Birthday party, we hired a community hall and invited her friends' whole families to attend, dressed as Kings Queens, Knights, and princesses. We called it a Royal Ball and had all kinds of dancing games. Rather than hire an expensive DJ, I downloaded some free mixing software, and made up my own mix dance CD for the Ball. Toddlers don't need many (if any) structured activities. They need lots of things set up for them to free-range play on. For Scrag's 1st birthday Teddy Bears Picnic, where there were lots of very young ones, we had lots of free-play activities set up (slide, rockers & ride-ons, swings, playhouse, ball pit etc) and then at the end we went on a Bear Hunt to find Teddies, the Party Bags and a friendly (big brother) Pooh Bear. At Scrag's second birthday Wacky Wheels Party, the guests were still very young so there were no structured games. 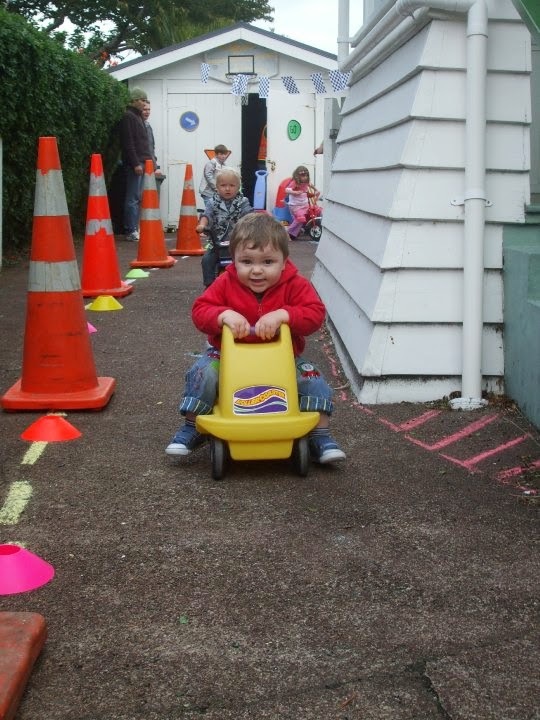 Instead we marked out a race track on our driveway and instructed guests to bring their ride-ons. There were other activities set up as well including a hired rollercoaster and petrol pump. It was perfect for two-year-olds. Some games can "go to custard", so it pays to have a back-up plan just in case. 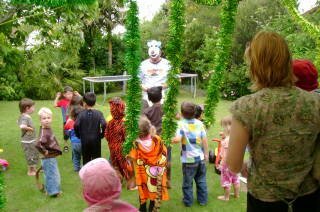 For example, at our Jungle Party we were playing a fun game of "Monkey Chase" which we had to pull the plug on after a young "tiger" fell apart when a very realistic "hyena" chased him down, and sent him running to his mum. His distraught sobbing meant the end to that game, so luckily we had a a few others up our sleeve. In my experience kids often need adults to lead the way. I usually enlist the help of some fun adults I know to dress the part and lead the fun. Luckily my hubby Mr G is great at this: he has been Baloo the Bear, Tim from Hi-5, Captain Hook, and The Ref. He has lots of energy and is great at getting the kids giggling, as well as keeping things moving. I have also been known to round up other fun-loving parents and even babysitters to be fairies, coaches and the gang from Hi-5. I usually ask a few mums or older siblings to do the Face Painting; we have collected a box of facepaints and glitter over time and these get pulled out and added to with each party. Big brothers and sisters can be a great help running games on the day too. 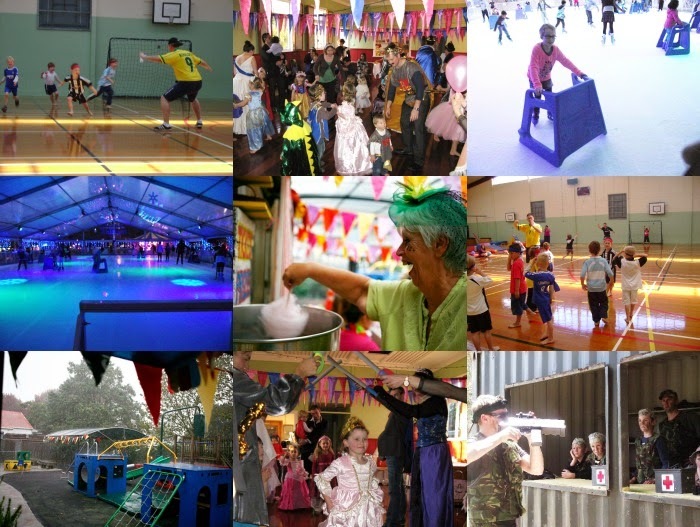 If budgets are tight (as they seem to be these days) you can have a great party without having to hand over hundreds to special entertainers or face-painters. Just get a few handy friends to pitch in. Sometimes kids can be shy at parties; they may not know anyone else there apart from the birthday child. It helps to have adults creating a fun and energetic atmosphere. When there are team games we pre-pick the teams; there's nothing worse than being the last kid standing at a party, unpicked. This also helps ensure that teams are well balanced, with members of mixed abilities. Music plays a huge part in setting the party's tone and atmosphere. I always make a special mix CD for each party, with a combination of music we already own and some new songs from iTunes that suit the theme. It's very easy to create your own mix CD using iTunes or Windows Media player: all you need is a computer that has a CD burner. By tailoring the songs to the theme, you help create the kind of "feel" you want - from ethereal and magical (fairy), to high energy (sports). Or just make a playlist and hook up your iPod to speakers, if you're clever like that. Decorating is the hugest part of setting the atmosphere. When your guests arrive they know they're in for some fun because you've taken the time to set the scene. The little details all add up to create some magic. This is the fun part and where you can just let your imagination go to town. I always try to keep the decorating simple but effective. I use things I already have and borrow or make things I don't. You don't need to spend lots of money, you just need to be a bit clever. I've been known to upcycle things from the dump, rescue crates from the side of the road and hoard tin cans and jars for months.Christmas lights and lengths of fabric, come in handy so keep your leftovers from one party to the next - you never know when you might need it again. A green tulle canopy strung with flowers, butterflies and ivy sets the scene for an enchanted fairy party. 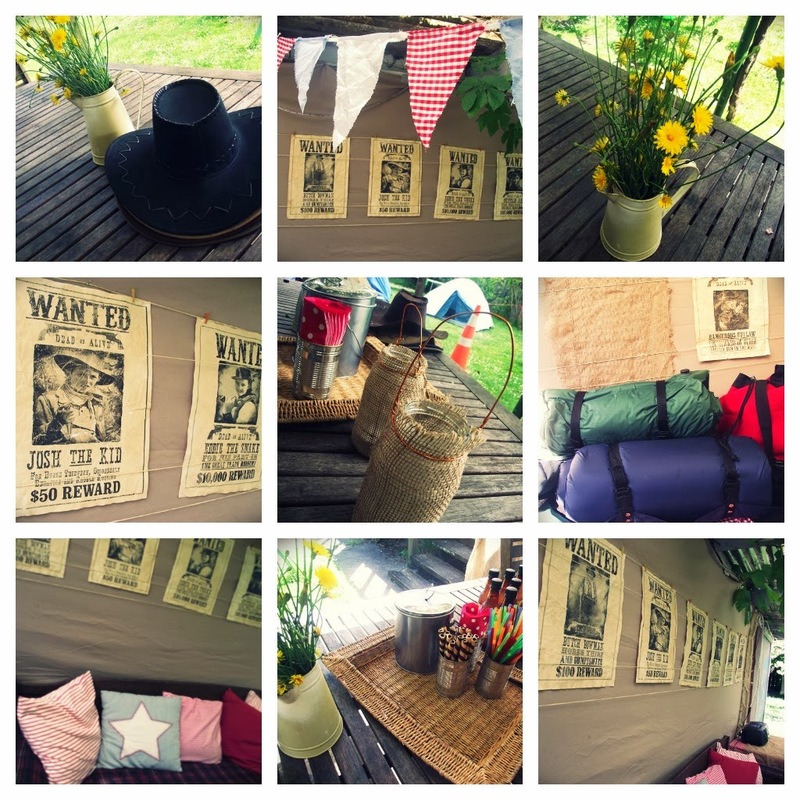 For the Wild West Campout Party I made wanted posters for each guest (cost = .60c each); they worked great for the decor and then guests got to take them home as well. 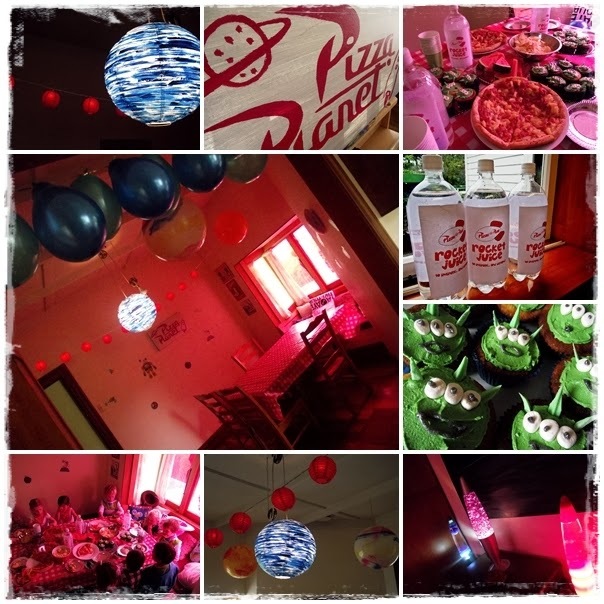 For our Toy Story Party we turned our dining room into pizza planet by hanging balls (planets) from the ceiling, covering the windows in red cellophane and borrowing lots of lava lamps. 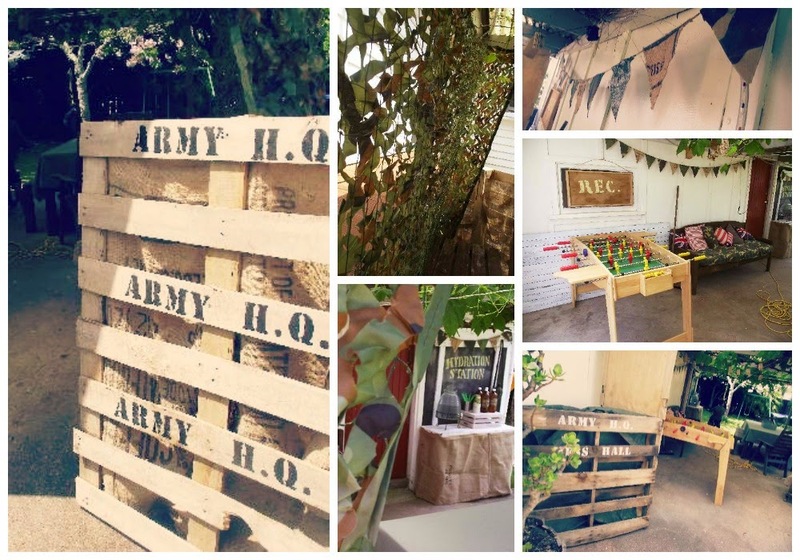 Using printables to theme your party is such a simple way to make the ordinary special. 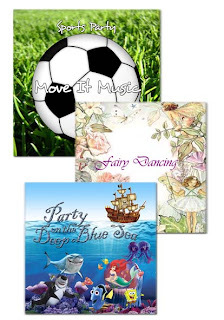 I have designed a whole load of printables on a range of themes for you to take and use at your parties. Simple ideas like peeling the labels off homebrand fizzy drink or water and replacing them with on-theme labels. It's the little things that make the difference. 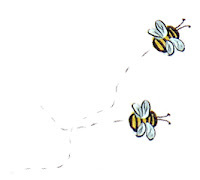 Think outside the box rather than using expensive licensed products - go with a secondary motif for decorating. Innovative presentation really adds excitement; e.g. 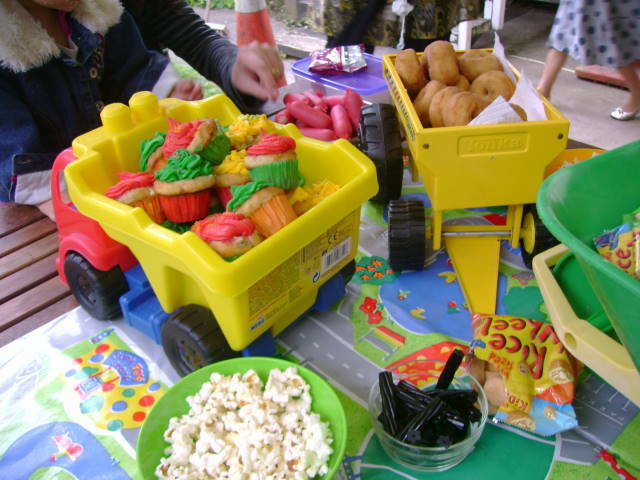 food displayed in toy trucks and trailers for Wacky Wheels Party looked amazing and cost nothing. Keep the food simple and easy to prepare. You don't want to spend your whole time in the kitchen at your child's birthday party. Food that can be prepared ahead of time is best. It's also good to be aware of guests who may have food allergies (which are very common these days). Best to check with the parents and offer some alternatives for that child to eat. Then of course there's the Birthday Cake. There are so many ideas out there! Sometimes the simplest ones can look the most effective. 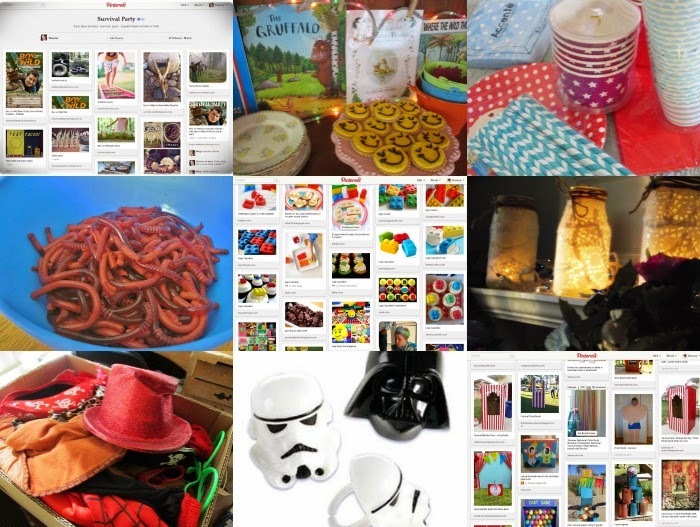 If you're stuck for ideas, try doing a google image search on your party's theme, or look in Pinterest. If in doubt, just use lots of buttercream icing and lollies (yum yum)! I am not a great fan of goody bags but I do like to send the guests home with something, even if it's a cutely presented bag of sweets. I can't stand wasting money on plastic junk, I would rather get each child an inexpensive take-home gift that's useful and/or a little bag of sweeties. For the Sports Party, I hunted for deals on Sippy Bottles and eventually found some cool Nike ones for $3 each. I named each bottle and the kids used them during the sports games and took the bottles home. At the Fairy Party, the girls got an empty little flax bag with their own fairy label at the start of the party. They collected their prizes in it throughout the party. Plus I made a flower wreath for each little fairy guest to wear and take home with them. I've found that usually only one or two kids will not be able to make it, often at the last minute due to illness. There could also be a few "ring ins" (siblings) turn up and it's good to have a couple of spare bags of sweets on hand, just in case. I design my own invitations in Photoshop, which gives me the look and feel I want for the party. (Click here for my free printable invitation designs, or get them personalised on my Etsy shop). In the week leading up to the party, make a to-do list with tasks broken down into each day. 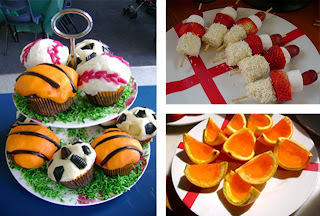 Spread the jobs out through the week and involve older children in party prep, e.g. stuffing goody bags and baking cupcakes. Do whatever you can ahead of time, so you can enjoy the party as well. Tick things off once they're done, then relax until the next day. And have a rain plan figured out! The point of the party is to celebrate the birthday child and give him/her a great day with their friends. There will always be mishaps and things that don't work out how you wanted them to - like the weather. Don't focus on what goes wrong. If you're running out of time, drop some non-essential things off your to-do list. The kids won't actually notice many of the details. They will soak up the atmosphere. The details all go into creating atmosphere - but the sight of you stressed-out and grouchy will undo all your good work. So take a deep breath, relax and simply enjoy your child's Big Day. Great advice! Planning the wee one's party as we speak! Thanks for the great tips! I especially enjoyed the one about all the kids coming once invited. :) I have a 2 year old daughter and am planning my son's 1st birthday party for October! I think its going to be froggy and have a bounce house! Love the idea of the food in unique containers too! Sounds like your an awesome mom, thanks again for sharing! I've been searching for cute train invites that I could print myself and personalize 'cuz I just knew there had to be some on the internet and I found your free invites, so I had to pop over and found this great tips post and had to leave a comment! I know you say you are no professional party planner, but I think you should consider it! Maybe come up with idea boards to go with your invites, at least! I'm so glad I found you for the kiddo ideas, too! Thank you!